Unicode source and text editor that uses syntax definition files to recognize and highlight different source codes. Some features are html shortcuts, html preview, FTP, spell check, encryption, auto completion and much more. The editor uses Unicode internally and the program interface can use any language using a language file. Several tools are also included. Such as RJ CharView, RJ Converter and a syntax definition editor. 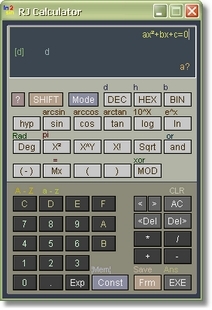 A calculator program written in c++. Works a little like a Casio calculator but takes advantage of Windows capabilities. Can easily handle formulas, constants and programs. 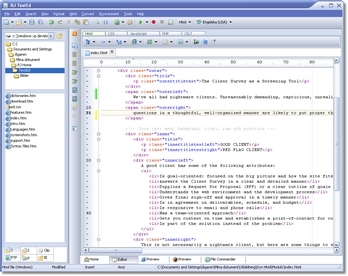 It has several formulas built in and its own programming language. 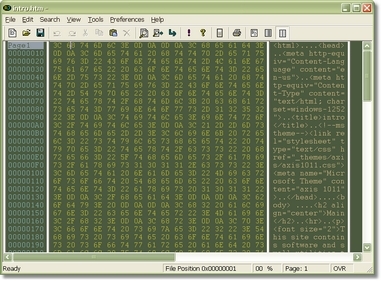 A simple binary and text editor. This is the predecessor of RJ TextEd.